RSVP for the Spring Diversity Program for Admitted Students! Please note: The Spring Diversity Program is available to first-year admitted students who received an invitation with their admission decision. As part of our commitment to diversity and intercultural understanding, Pitzer College will host its Spring Diversity Program from Thursday, April 11 to Saturday, April 13, 2019. This program is designed specifically for admitted high school seniors from underrepresented racial, cultural, and socioeconomic backgrounds from across the United States. The Spring Diversity Program is open to admitted seniors who received an invitation with their admission decision. The Diversity Program is an all-inclusive, all-expense-paid program for which round-trip transportation (air, train, bus, gas/mileage reimbursement) will be covered. Admission representatives will transport students to and from the airport. Attendees will be hosted by current students in the residence halls and will dine on campus throughout the three-day weekend. Pitzer College seeks to enroll students whose backgrounds and experiences offer varying perspectives on living and learning in a multicultural world. In order to accomplish this, we offer this program to encourage students to visit and enroll at Pitzer College. The Spring Diversity Program will occur from April 11 – 13, 2019. Admitted high school seniors (regular decision only) who have received an invitation with their admission decision. The online reservation form will be made available in March. Space is limited, so it is important that students register shortly after receiving their invitation. The spring program is for admitted students who receive an invitation by email. How do I know if my RSVP was received? Once you RSVP online, you will receive an email confirming you your registration and containing further instructions. If you do not receive this email, please email Dwayne Okpaise at dwayne_okpaise@pitzer.edu. How will I get to campus from the airport? Diversity Program admission staff will pick up all fly-in students from the airport Thursday morning, and drop everyone off for their flight on Saturday morning. I’m a local student. How do I get to campus? If you are from the Southern California area, you can choose to arrange travel yourself or have Pitzer staff members coordinate your travel to campus through bus or train. You will have the opportunity to indicate this on your RSVP form. If you are driving yourself or being dropped off, you will be reimbursed for the mileage. Here is more information on navigating your way to campus. If you are parking on campus during the program, parking is free in the East Mesa Parking Lot adjacent to the Office of Admission. What will students do on campus? As a participant in the Spring Diversity Program, you will attend Admitted Student Day on Friday, April 12, 2019. Additionally, you will stay in the residence halls with a current student, attend a class, and eat in the dining hall. You will also have the chance to meet with faculty, staff, and current Pitzer students. Will the program cover the other Claremont Colleges? 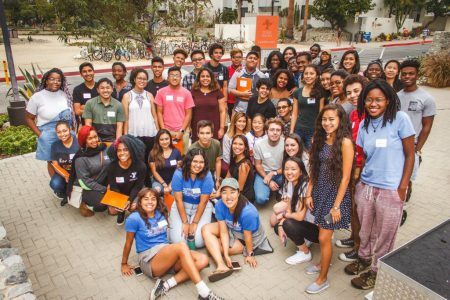 While there will be some exposure to the other Claremont Colleges, this program is geared towards students who are interested in Pitzer College. 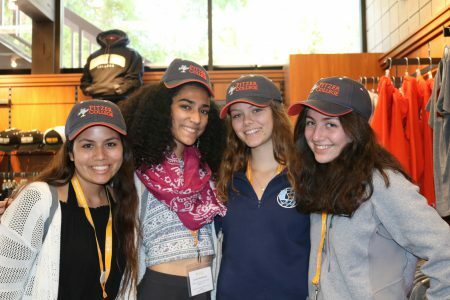 All students on the Diversity Program are required to attend all planned programming and stay within the parameters of the five Claremont Colleges. The program allows students who might not otherwise have the means to visit Pitzer an opportunity to experience our campus community. I cannot attend the program. Are there other opportunities to visit campus? Please contact Dwayne Okpaise at dwayne_okpaise@pitzer.edu. We are excited about your interest in Pitzer College! You will be emailed with more information. Please check your email often. and don’t forget to bring a reusable water bottle!